I'm celebrating the early signs of spring by sharing a few of my favorite things with you, my most wonderful-est readers. Ball Hoppers: I had one as a kid, and I recently remembered just how much I loved it. It's one of the best toys of all time. 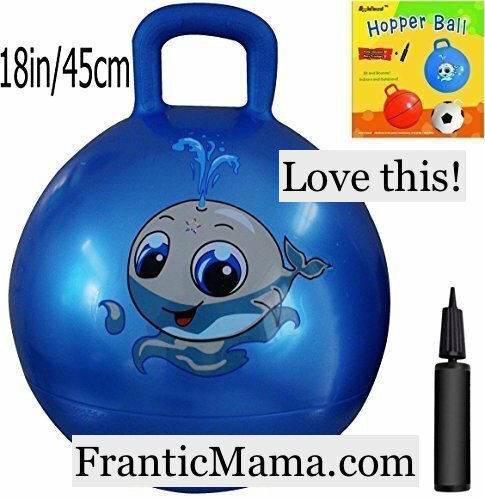 I had to search Amazon for one (I wasn't sure exactly how to search "ball thing with a handle for kids to hop on"), but I eventually found this affordable one. It's the perfect size for my almost-6 year old and my 3 year old to "share" [and by share, I mean setting a timer for 3 minutes each to switch back and forth]. For the record, I guess they are called space hoppers, hoppity hops, and sit and bounces. Who knew? Married at First Sight: Have you seen this reality show? Probably not. It's quite random (the FYI network?) but it is also ridiculously addictive. The name says it all: couples get matched by professional psychologists and get married at 'first sight.' Will they last? If you find it OnDemand, good luck watching anything else for about 2 weeks! Shock Top Beer: Though not technically a seasonal beer, I think this Belgian White Ale with a hint of citrus is a perfect choice for spring nights. It's light and refreshing, with just enough bite and taste to make it delicious. UrbanMommies.com: I recently started writing for this site, and I think you'll love it too. It offers an upbeat, fun look at motherhood, including products we love, traveling tips and ideas, as well as personal narratives and realistic advice. Too Faced Chocolate Soleil Bronzer: I received this matte powder bronzer as a sample from Sephora and I'm hooked. They clearly know what they're doing with those samples. I apply it on my face in the mornings or for a date night and it warms up my complexion without any sparkle or shine. P.S. You can also find Frantic Mama on my new photography site, featuring horses, barns, and other scenes from country life (JAEquinePhotography.com). OOOOH! I am getting one of those hoppity hops! Can we still hop away? Or is it just the kids? ha ha!! 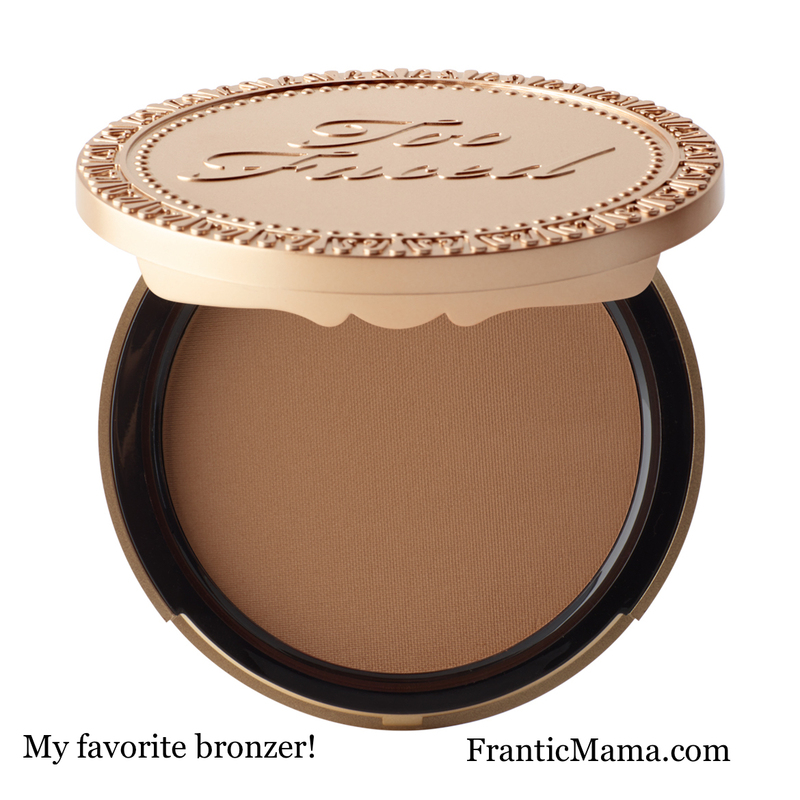 Like your bronzer too! So glad spring has finally found you. Love this cheerful little post!! Hoppity Hops are definitely for grown-ups too :). I tried the one I gave my kids, but it was too tiny :). Thank you so much for reading!